the pink clutch ...: Paper Baby! My dear friend Paper Girl is currently at the hospital in labor getting ready to deliver her first baby. She is the kindest, truest person and has waited so long to be a mother. Her faith has been so strong throughout this journey and I have learned so much from her. She is finally getting to realize her dream ... she is a Mommy! I am so thrilled for her! When the sun breaks tomorrow, she will finally be a mother. To a sweet baby boy!!! Rest well and know that I am praying for both of you. You have waited so long and have been so ready for this miracle to happen. 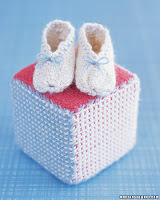 You will be a great mom and have so much love to give to the new life God has entrusted to you. How blessed he will be! Your faith is unending and keeps me grounded! All the kids prayed tonight before falling asleep. Babycakes wanted to call YaYa, but I tried to tell her you were busy! We love you and can't wait to meet our Paper Baby! Kisses to you ... I love you ! Congrats, Paper girl! March 19th is a great birthday. Just ask C.